Sponsored by U Brands and hosted by Henhouse Creative, I hosted a lettering workshop along with colleague Remy Kashima at the SND CYN Studio in Irvine, CA. We laid out the basics of lettering and dove into how watercolor and lettering can work together to enhance each other. 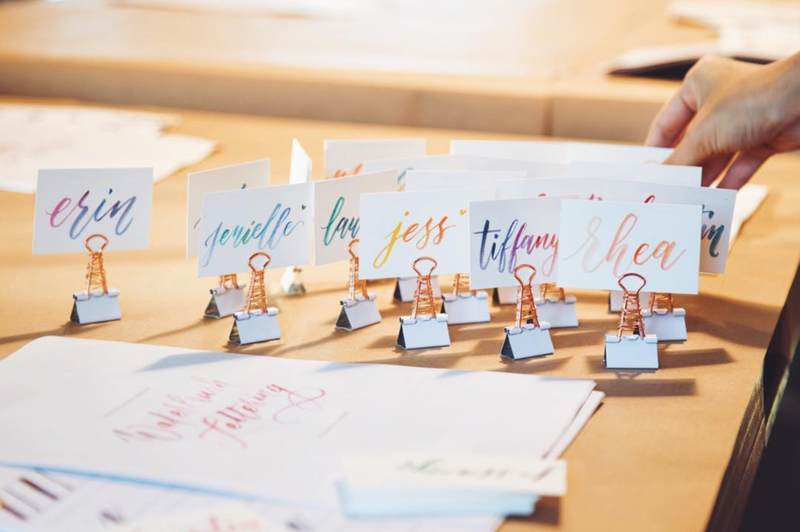 Hosted two lettering workshop fundraisers with Amy Wong (co-founder of Airie Studios). Open to CSULB students and anyone interested in lettering, we went over the fundamentals of lettering, from letterforms to line weights. As the first proved to be a success, we hosted a second workshop later that same year, with an even better turnout! Seats were sold out with plenty more on the waitlist eager to learn from us!